FIT Radio is MOVIN' ON UP! 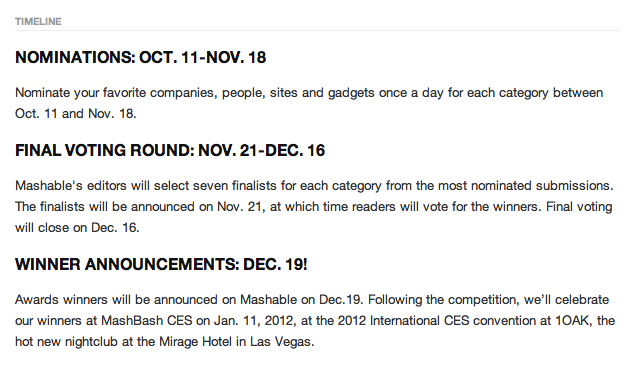 Mashable, Mashable, Mashable! 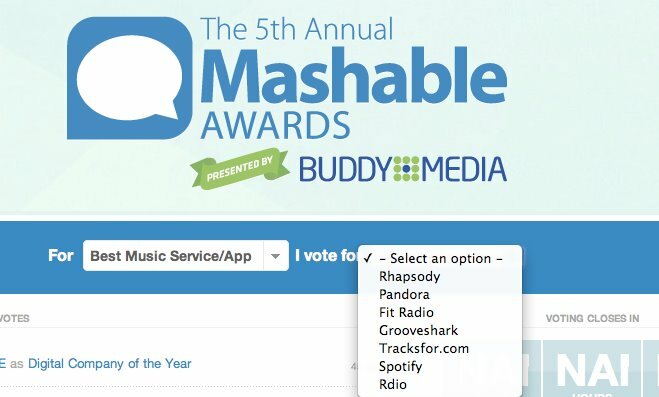 FIT Radio just got nominated in the Top 7 for Best Music Service/App on Mashable.com right along with Pandora, Spotify, Rdio, Rhapsody, and Grooveshark. Maybe you’ve heard of them? This is a huge honor and an incredible opportunity for us! All of us here at FIT Radio would like to thank all of our fans for their support!! We couldn’t have done this without you. There are only 8 more days left of voting, so VOTE, VOTE, VOTE!